To explain how a betting website, without bookies, works (peer-to-peer betting). Additional objectives were to raise trust and sympathy for the site. An animation that surpassed clients’ primary expectations – explaining the site, but also building trust and sympathy for the service. I’ve worked together with Maciek on creating a video explainer for an online betting service. He made the key input into video communication of the project. We were looking for the messaging language which would make us different than the “standard” productions. 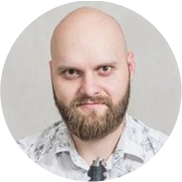 I recommend working with Maciek as he is a true professional, helpful and understanding the needs of business, and most importantly – building video communication that is interesting and different than any other. Easydare was a startup – they had a really great idea for the service but little experience in client communications. We helped to define the business objectives for the film and created art directives for the films’ script and visual design. This way we helped to build in trust and sympathy into what was primary aimed to be only a tutorial. We decided to show a story of a guy using the site to have fun with his peers. The main character was developed to mirror the main customer profile we had for the service. We showed a simplified version of the sites’ design in order to streamline the story, but also to allow for changes to the actual site, which at the time of animating was still under construction. We’ve learned that even while promoting a product, people are of most importance. Showing the product right is a must but what really does the job is the script and the conditions that allow people to shine. © 2018 Moving Dog. All rights reserved.